Dumaguete City: How Quaint Can You Be? “This is it?” I asked myself when I saw the “mall” a local was referring to when I had the opportunity to stroll around the downtown area. He (the local) was talking about Lee Super Plaza, which was the bigger department store then. Dumaguete City. It was in 1999 when I first stepped foot on the City of Gentle People and I was already dismayed with the limited recreational activities that were available – back then, ‘recreation’ meant going to the malls. Little did I know that I’d spend the remaining years of my secondary education here; a moment that I wish was longer as I grew to love the place. 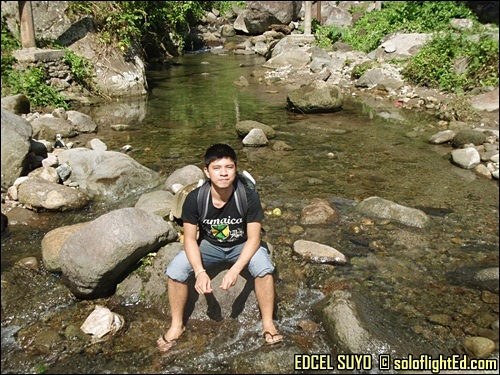 Coming from the city wherein the environment is always busy, Dumaguete stunned me with its laid-back atmosphere. I’d wake up thinking that I was already late for school, only to find out that no one was still around inside the campus. I lived for almost 4 years in the capital city of Negros Oriental; a time when I had to undergo adolescence which wasn’t a grueling stage in my case. It helped that the environment didn’t put me in a lot of pressure just to fit in. This is the best place to grow up. There’s still a touch of modern life, but it’s not as busy as other neighboring regions. In Dumaguete, people wear shorts and slippers even in malls; everybody is a cowboy in their own right. It doesn’t matter if you drive the latest car as there’s very limited space to show off your vehicle. Besides, you’d get more stares from people not because of how cool your wheels are, but why you had to bring it to this town. People will gawk as if it’s an alien space ship. It doesn’t matter as well if your wear the best shoes as your footwear will just gather dust due to the surroundings. These are just some of the ways that describe how ‘rugged’ this town is. The motorcycle is a popular mode of transportation. People usually gear up their vehicles to pimp their rides but here it’s the exact opposite. Dumagueteños take away even the important parts of the bike. The more skeletal, the better. 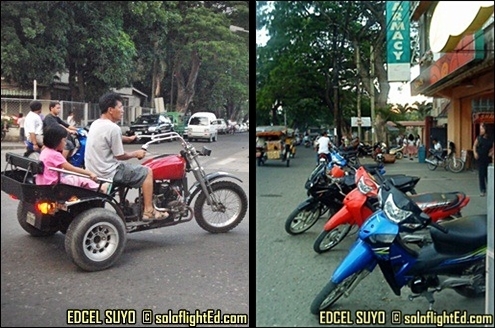 motorbikes: no helmet? no problem. Motorcycles for rent are abound. So long as you have a license, you can rent a bike for the day. 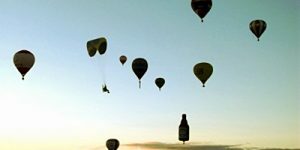 The reason why this has become the choice of transportation is attributed to the fact that everything is within reach. Everything is within walking distance. 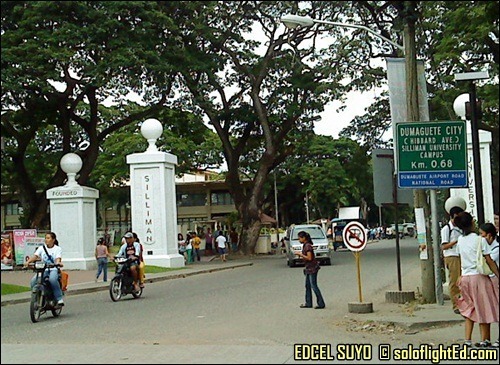 Dumaguete is considered a university town as most of the population consists of students from different schools. These students come from various regions in Visayas and Mindanao and there are even a lot who come from other countries mainly due to Silliman University. Being an American institution, students flock and rent dormitory rooms and lodging houses to experience how it is to study in the first American private university in Asia. You can just go out after class and play a round of Frisbee, tennis, softball, whatever sport you’d find interesting; for sure you can find a schoolmate with the same interest. You can also go out in a local hotspot and chill over bottles of beer while staring at the beach and talking to your friends. 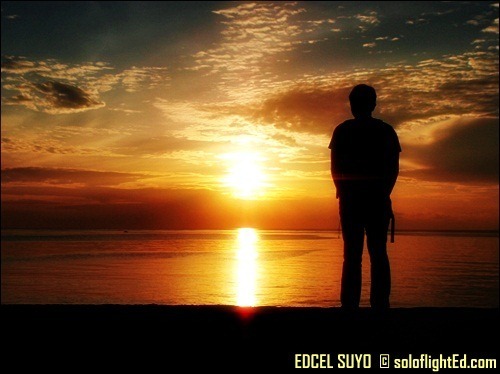 There’s something about Dumaguete that entices one to become poetic. Blame it on the peaceful atmosphere. This is, after all, where the National Writer’s Workshop is being held during summer. Those creative juices just keep flowing especially when you’re detached from the city life. 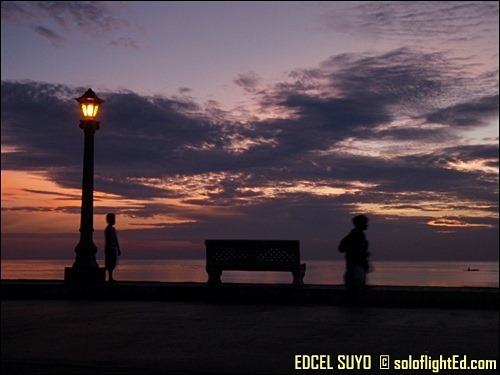 If one could fall in love with a city – Dumaguete would be the place to be. You’ll truly find inspiration in these simple pleasures in life because the ambiance gives you time to REFLECT. Food is definitely cheaper here; and the choices have actually grown too. 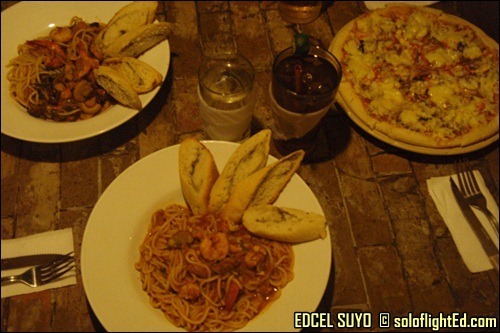 Taste the famous sans rival cake, check out meals and the dining experience at Gabby’s Bistro. Bring your laptop and hang out at Café Noriter. Eat pasta at Boston Café, or take a bite at Café Memento’s Chimichangas. 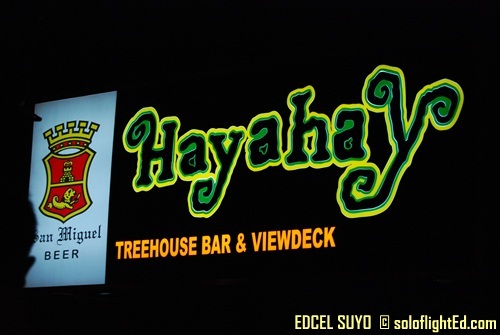 Buy Oatikin cookies at Tsokolat and ultimately have dinner and drinks in Hayahay restaurant – the best place to eat in Dumaguete while listening to live reggae music. UPDATE as of March 2012: Tsokolat Bakeshop is no longer there and Boston Cafe is now named Jutsz Cafe. 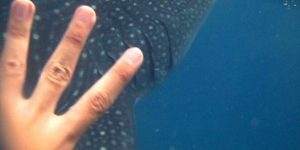 Go on a trekking adventure to the Japanese Shrine and Casaroro Falls, hop on a boat and head to Apo Island which is a famous diving center. Take a dip at the Twin Lakes of Balinsasayao or head to Bais City and check out the sandbar while you relax under the sun. These are really just some attractions that you can enjoy. It’s also near islands such as Cebu and Siquijor so you can hop on a boat going to those provinces for another set of adventures. But the adventures that I enjoyed the most during my stay in Dumaguete were spontaneous trips that my classmates and I decided while going to their houses located near the mountains. Those were inexpensive but good times. There are still a lot more things you can do in Dumaguete; the degree of fun depends on the people you hang out with as it’s up to you to improvise. 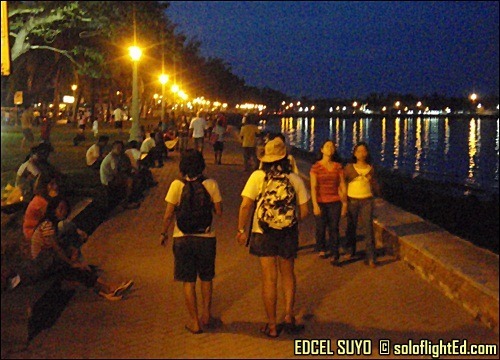 The Rizal Boulevard has been a famous landmark for people of all ages. It isn’t extravagant, but it’s with the simplicity of having different lights from various establishments and lamp posts illuminating the black landscape that makes the location a great place to hang out. Couple it with the cool breeze and great company, not to mention cheap food, you can’t help but just ponder on life and life again. I recommend you try the fried tempura being sold there. It’s definitely a worthy treat. 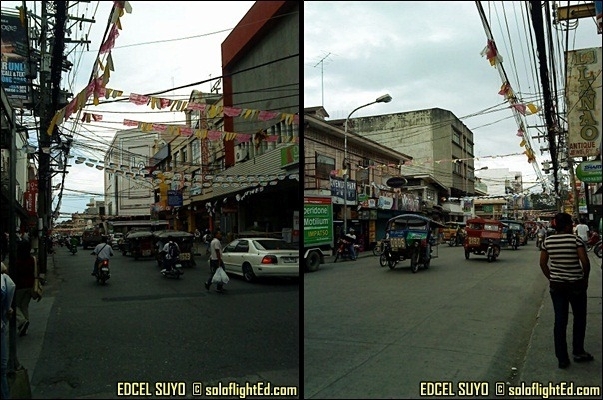 TRIVIA: My blog’s header picture was taken in this part of the city. A lot has changed since I last visited this quaint little town. How ironic that I never really got to get around it when I was living here as opposed to when I visited the place after my high school graduation. Bistros are put up, there’s now a Robinsons mall and BPO companies are established. Whenever I drop by, there’s still a special connection that I feel because of memories that were created. Only, the faces I see are not the ones of people that are familiar to me. I realize that the time has been allocated for another generation. A new one ready to experience the highs and lows of living in this bubble until life will beckon them to pass the torch to a much younger era. Dumaguete, every time I hear your name, I recall acacia leaves falling carelessly along the pathways of Silliman. You are a total walk in the park. If you were a season, you’d be autumn. One can’t help but burst into a poem as the city lets you go with a rhyme. Be careful not to get caught up with it — else you want to fall in love and get hurt when you part ways. Dumaguete grows on you. Don’t just spend a day or two as for sure you’ll get bored right away. Don’t even expect what this city can offer you as something will surely come up out of the blue. What you may ought to do is immerse yourself with its lifestyle and let nature take its course. If you’re a person who’s always on the go, Dumaguete will make you STOP. Hayahay or ‘comfortable/cozy/refreshing’ – if I were to describe the town in one word. When you have nothing, you make do with what you have. – this is what I’ve learned from staying here. 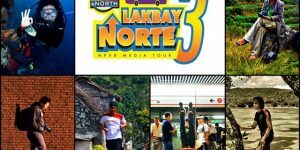 This is my entry to Pinoy Travel Blogger’s Blog Carnival themed Quaint Places in the Philippines. which is hosted by RV of Living In A Back Pack. 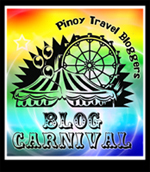 Click on the Blog Carnival Logo on the left to see other topics that the Pinoy Travel Bloggers have written about. btw, walang link yung logo..
For the very first time Ed, you just made me cry and made me love you! Naks! Seriously, there is no one who could give this intricate details but a Dumagueteño (by heart). Kudos! @leylander: whoa, thanks for dropping by! thanks. @rabsin: wow, didn’t know i could have that effect. hehe. thanks! there’s still a lot more i can share about the place. putting it in one entry is truly not enough! thanks again! kung di ba naman sakto, i'm going to Dumaguete next week! 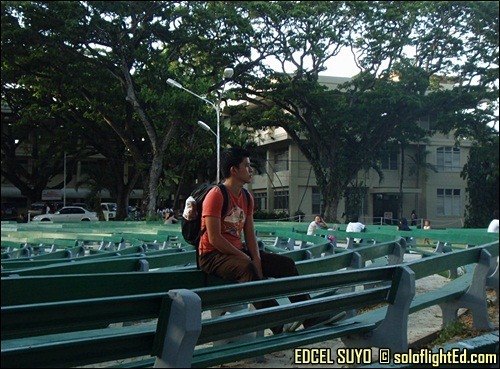 thanks for this,, i just want to sit in one of the benches sa rizal boulevard and write poetry! Ayos! Rugged Lifestyle, natuwa ako dito, dito ako bagay tumira. Madalas akong magpunta ng mall with pambahay clothes kairita lang titingnan ka pa ng tao. I wonder how much lupain jan, seriously! 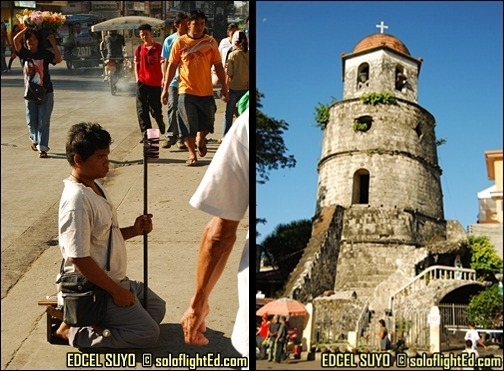 Nice post about Dumaguete Ed! Very detailed, I've bookmarked this for future! I've been in Antulang, also in Dumaguete, and was able to visit the city very briefly. We went to Siliman and the boulevard for the day tour. It's a beautiful province. @pinoyboy: glad that this was helpful! 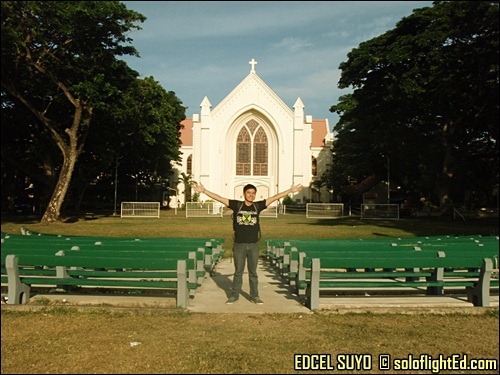 you can also go to the amphitheater of Silliman University! maganda rin dun! 😀 inuman ka din dun sa may Escano! @Rizalenio: yeah, it's a beautiful city. haven't been to Antulang though. i should drop by one of these days! Very detailed post! Makes me want to go there right now. Hahaha. I'm really grateful for travel bloggers. Ngayon lang ako naging adventurous and it's so nice to see that ANG DAMING magagandang puntahan dito sa Pilipinas. Lilibutin ko talaga ang Pilipinas as much as I can bago ako umalis. Hindi ako papayag na hindeeeeeee! i love dumaguete. fell in love with the place. good vibes. simple lang. one of the best surprise trips i had this year. Wow, I am reminiscing my last visit to this gentle town while reading this. Nice one Edcel. Dumaguete is close to my heart, my grandparents have a rich history here, my Lolo was employed in Silliman University for years. My mother was born in Santa Catalina, a nearby town. My fondest memory of the place was when me and some local kids went to the beach in Sibulan, that is just beside the airport's runway, we crossed the breakwater and we are on the edge of the airport's one-lane runway and a PAL airplane was like hovering above us very close before its touchdown, it was a surreal experience. We were not even reprimanded, this is a very rugged town! Love to go back one of these days. I am not sure if I can relive that experience. nice blog bai! very informative.. thumbs up!! @Robbie: you should drop by Dumaguete! very good if you just want to focus on something. parang rehab kasi. hehe. Yeah, the travel bloggers are really pushing forward tourism in this country. i never knew the many places that are also waiting to be explored until now! thanks! @jean walter: thanks for sharing your story! this is indeed a great place to grow up and worry about other problems in life later. @smarla: thanks a lot, i appreciate you and the rest of the readers’ comments. makes me want to write it even more! you should go out more often and satisfy our curiosity for places! I went to Dumaguete last year but I'm afraid I didn't make the most of it. It was just a jump off point for me to Siquijor. 🙁 I went to have a Thai massage in front of Silliman though. Loved it! ""This is the best place to grow up. There's still a touch of modern life, but it's not as busy as other neighboring regions. ""— I completely agree. A good place to grow up is where one can develop socially kasi di puro baka at kalabaw ang nakikita ng bata but at the same time there's enough space where one could find a spot to meditate…. @aleah: also went to Siquijor and made Dgte. as a jump off point. i should have a massage in Dumaguete one of these days! 😀 probably it was in the West Portal building? 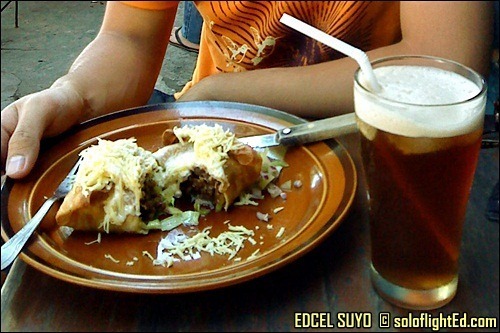 @pusangkalye: there's a good balance in Dumaguete talaga. Have you been there? 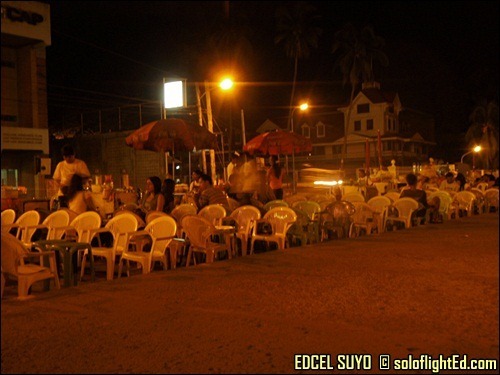 im planning to visit Dumaguete the week after next….nice blog…. wow. nahiya naman ako nong nabasa ko to. very detailed and u made me miss dgte even more. got an idea now what to see and do when I do my Cebu-Dumaguete-Sijuior-Bohol trip next year. very nice and detailed post Ed! 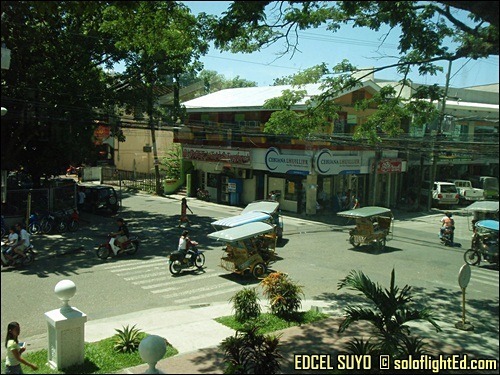 I've been to places outside this city, but still wants to come to this town which a huge city cannot provide . . it has a life of its own different from other cities or towns . .
My husband and I am planning to move in Dumaguete, hopefully our kids are going to enjoy studying in dumaguete. I don’t know about dumguete even my husband, but he is the one very eager to live in Dumaguete for the rest of our life. I am more hoping our kids will rise up just like ideal kids like them.